Around there world there are a few strong spirits that are similar to one another, as each are anise flavored spirits. This includes Ouzo, Raki, Arak, and others. Arak is the Middle Eastern variety, which is usually eaten with small appetizers known as mezze. The reason this drink is usually taken with food is because it has a very strong alcohol content, usually ranging between 40-63%. When you drink Arak, it is necessary to dilute it with water and serve it over ice to get the best flavor and to make the drink a bit less harsh. Arak is hardly ever taken neat. It is also normally shared by a few people who are eating together and is not a drink often taken when you are alone. Native to Lebanon originally, Arak is also the signature drink around parts of Syria, Iran, Iraq, Israel, and Jordan. It is served the same way in each locale with the largest variation being in the mezze that is served alongside the drink. Arak is a distilled spirit. The traditional types of Arak are made from white grapes that are crushed up and allowed to ferment with their juices before being distilled. Some younger varieties of Arak are made from other fruits like dates, plums, and even figs. All of the fruits used are traditionally grown in the natural Mediterranean climate without the help of irrigation or artificial enhancements. Aniseed is the main flavoring added to this alcohol. Depending on the brand, there is a lot of variety in how much aniseed is added for the distillation. Once the spirit has been distilled, it may be allowed to age in special clay pots that are made for this drink. 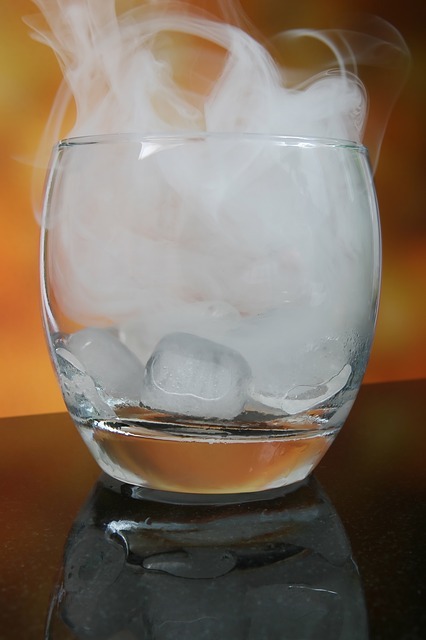 Further evaporation happens that will strengthen the alcohol content of the drink and prepare it for consumption. The type of still used to distill Arak can have an effect on the flavors of the drink. A traditional Moorish copper kettle is considered to make the most authentic Arak you can get with the best flavors of all the different brands. As mentioned before, Arak is usually served in social settings rather than to solitary diners. You can find it served frequently at restaurants, night clubs, diners, and even at some dinner parties. When it is taken with the local mezze, the alcohol does not feel as strong and will not have such a negative effect on you. When pouring Arak, you will never pour it straight into the glass from which you will be drinking. There is a certain order that should be followed for the best results. It must first be poured into a vessel to about 1/3 of the level. Another 2/3 of water should be added to help dilute the drink. After this, the mixture will then be poured into your drinking cup over ice. The end result is a well made drink that has a milky white color to it. If you serve Arak in any other order than this, you will not achieve the desired color. Because this spirit is made with the same basic ingredients there are no separate types of Arak. Being more of a regional Middle Eastern drink, Arak has not found popularity in the rest of the world that would encourage producers to create a variety of types. The only real differences that can be found in the drink is when different fruits are used to form the fermented distillate and when some other flavor additives are distilled into the spirit. However, the anise oils will usually tend to show an overwhelming flavor that makes it more different to distinguish one type from another. When it comes to drinking Arak, the best thing to do is try out the favorite local recommendations until you find a brand and bottle that tastes best to you. Everyone has their own preference in the drink, although it is generally an acquired taste which does not come immediately when you first try this strong spirit. Finding your favorite type of Arak can be a trial and error process which may not be as fun as you would think, but you might find that the social drinking aspect of Arak makes it a great experience to remember!